Create an Email account | Glenn O. Hawbaker Inc.
Our application system requires that you have an email address. This allows us to have efficient communications with you and you with us. There are many possibilities for having an email address. Gmail, by Google, is very popular and free. 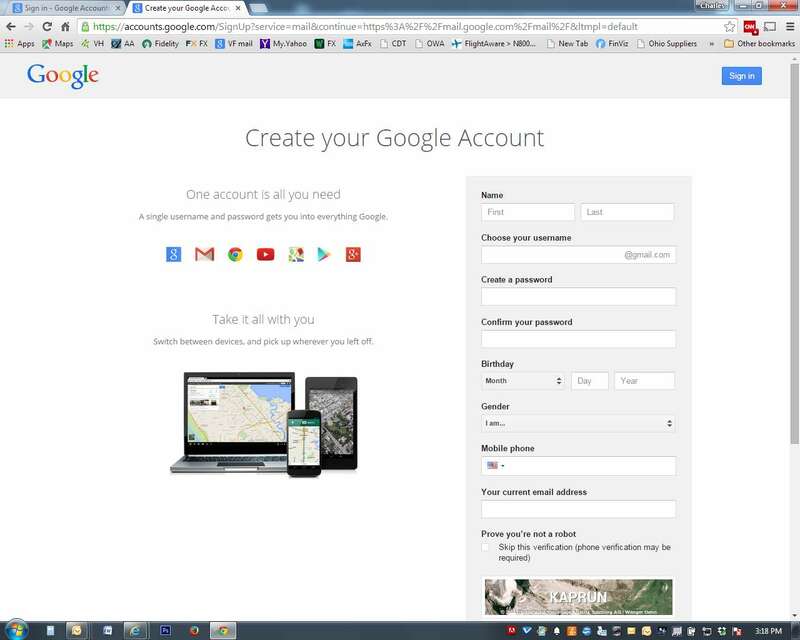 Below are instructions for setting up a Gmail email account. Once it is set up you can access your mail from any computer that has access to the Internet. ⇒ To begin the process, open an Internet browser (Internet Explorer, Firefox etc.) it does not matter which browser you use. ⇒ In the address bar (located at the top of the screen) type www.gmail.com and press the enter key. ⇒ Below is an image of what you will see on your screen. ⇒ Fill in the required fields. Choose a ‘username’ and ‘password’. If the username is already being used by another Gmail account holder you will need to select a different username. (Gmail will even offer you suggestions). Record your username and password. ⇒ You will want to un check the box designating Gmail as your default page. ⇒ Check the box agreeing to the terms and conditions. Once everything is correctly entered and you click continue you will see a screen confirming your username. ⇒ There are other things you can do within your Gmail account which you may wish to explore but you can stop here. You have successfully created your email account. 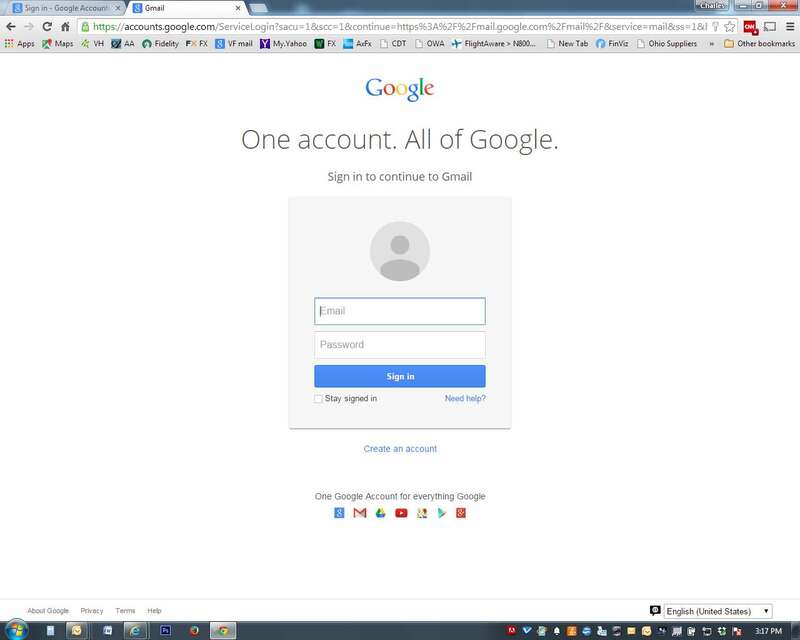 ⇒ You can now log into your email account from any browser window with www.gmail.com. That will take you to a sign in screen where you enter your username and password. The format is username@gmail.com and your password as you created it. ⇒ You can shoose to put your telephone number and/or other email address. If you wish to leave it blank , click on No thanks. ⇒ Select the ‘next’ button and take a tour of your new email account. ©2018 Glenn O. Hawbaker Inc. All Rights Reserved.